GBP has been supported by the average earnings index data and today the retail sales data will be release for the UK. 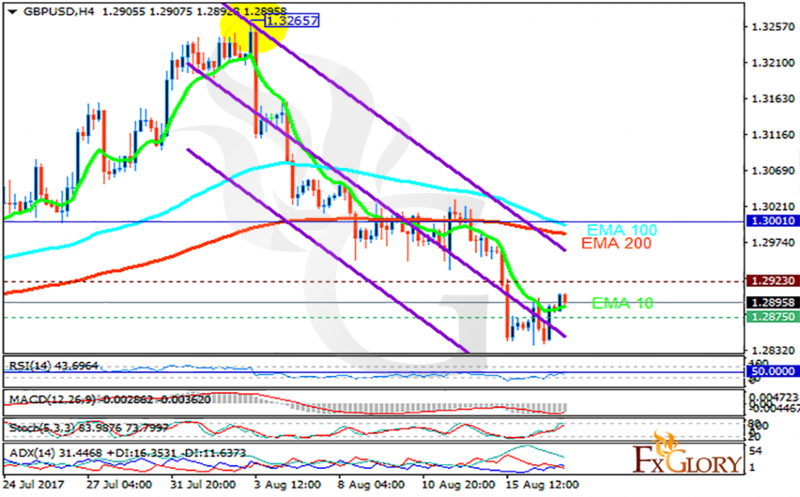 The support rests at 1.28750 with resistance at 1.29230 which both lines are below the weekly pivot point at 1.30010. The EMA of 10 is moving with bearish bias along the descendant channel and it is below the EMA of 200 and the EMA of 100. The RSI is moving horizontally below the 50 level, the Stochastic is showing upward momentum and the MACD indicator is in negative territory. The ADX is showing buy signals. The support level breakthrough will smooth the way for further decline towards 1.280; otherwise, GBPUSD will grow towards 1.30.